CLAM10 ProLight Multi Lighting Clamp, The Pro Light O clamp is designed to quickly mount a light effect to a lighting stand and allow the light to be rotated 360 degrees. This revolutionary design quickly converts this 2inch (52mm) clamp into 2 other sizes. Clamps the full diameter of the bar to stop slippage and leaves it in unmarked condition. Solid clamp, perfect for many different fixtures. Adapters supplied means it can be used for several thicknesses of lighting bars or trusses. I have several of these and a few spares in my toolbox. I wouldn't hesitate to reccommend. 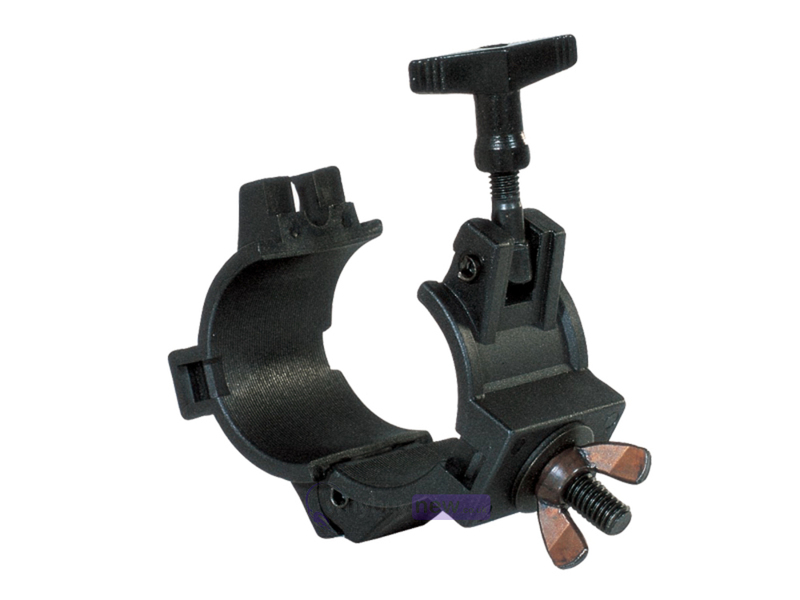 This lighting clamp is a must for any DJ.It fits to most standard lighting bars or round truss. It is really easy to attach lights to stands and truss. It comes with adaptors and requires no tools. It makes rigging and de-rigging lights fast and simple with no risk of light falling. Clamp is really well made and ar a great price. A must for any DJ! This clamp is very versatile and comes with a couple of adapters that mean you can fit to most standard lighting bars or round truss. Its very quick and easy to attach to both the lights and stands etc and requires no tools which is ideal for the Mobile DJ who needs to set up and pack away quickly without any risk of lights falling. Would highly recommend this fixture!